What is this book ? Initially published as a pdf, it will be the first multi-lingual, tangible symbol of the real-life, global, transformative potential of Nxt. More specifically, co-published by Nxter Magazine and Plaisir d’histoire (Ludom), it will be the printed (paper) version of the free pdf-book that was published to celebrate Nxt’s second birthday. It contains articles written in English, Russian, French, Spanish and Chinese. Produce a high quality, limited edition of the English language version of the book in printed (paper) form. Translate the book into each of the other 4 languages depending on demand and to make them available initially as pdfs. Produce paper versions of the book in each of the other 4 languages either as ‘Print-on-Demand’ or in high quality, again depending on demand. This project needs support from the community: morally and financially. Morally: we need your support to help sustain our motivation. If our project doesn’t have the community’s support, we have no reason to continue working on it. Financially: we need your support so that we can create high quality publications of the book in paper form, starting with the English Language version. Each copy sold during the campaign will be numbered and signed by Ludom on behalf of Nxter Magazine and Plaisir d’histoire. Over time, as Nxt becomes established as a financial ecosystem, it is anticipated that the book will become an increasingly valuable collector’s item. Shipping cost, taxes and custom fees (30% of the book’s price). Miscellaneous costs: ISBN and Swiss National Library registration of the books, shipping of the books for the contributors (writers, editors and translators). Plaisir d’histoire will pay the FIAT bills but wants to be reimbursed in crypto-currencies, assets and MScoins. Nxter Magazine and Plaisir d’histoire need 200’000 NXT or its equivalent in value in other crytocurrencies, assets or MScoins to produce and deliver a high quality paper version of the book in English. Once a week during the campaign, the prices, which are determined in USD, will be converted into crypto value and published on the Nxtforum. Worldwide delivery will be available. The price of the e-book is 2$ (Price in NXT and other tokens on Nxtforum). Price: 20$ (Price in NXT and other tokens on Nxtforum). Price: 50$ (Price in NXT and other tokens on Nxtforum). Price: 150$(Price in NXT and other tokens on Nxtforum). Price: 500$ (Price in NXT and other tokens on Nxtforum). Buy the tokens that you want on the asset exchange or on the MScoin exchange. Verify the ID of the assets. Send the required amount of the asset (look at the price list on Nxtforum)) to NXT-DE5P-4A5T-6SHU-7FHCV with a message that explains what you buy. We can accept other crypto-value. For more details, send a message to ludom@test.nxter.org or an arbitrary message to NXT-DE5P-4A5T-6SHU-7FHCV. When the e-books are ready, we will send an encrypted message to the asset holders with instructions how to download the e-books. When the books have been printed, a confirmatory message to that effect will be sent to the assets/MScoin holders. As soon as each holder sends us back the token with their physical address, Plaisir d’histoire will send the book(s) to their address. Where any part of the campaign fails to meets its objectives, we will buy back the tokens concerned. NXT, assets, MScoins, alias, nice messages and anything-else you like. During the crowdfunding campaign, the account will be forging all the time, the forging revenues will be part of the funding. You can lease your account to support the project. On Nxtforum, we’ll organise an auction to sell a special alias: SurpriseAlias. The winner of the auction will buy the alias on the Nxt platform. This alias will be printed in large font on the first pages under the words: “Discover the link of SupriseAlias”. The English language version of the book will be sold with a 15% discount. Each Nxt account will be limited to one book at this discount. You will also receive 1 asset Pbookeng. If you want more than one book at a discount, please buy the TENGB, XENGB or LENGB MScoins. You receive a XENGB (10 books) + a half page of the book for your advertisement. You receive a LENGB (50 books) + a full page of the book for your advertisement. You receive the asset NxterSub (1637207859198711678). This asset gives the right to receive for free every e-book published by Nxter Magazine for EVER. Additionally, to show our support for this promising Nxt project, we will be selling 15 Early birds and 10 E-book life subscriptions on FreeMarket. We want to publish a really good quality book in English. We don’t want to use the print-on-demand solution because the print quality is bad and the profits are tiny. To print 200 books, we need 200’000 NXT of crypto-value. All the NXT, assets and the MScoins are in the “First Nxt book” account NXT-DE5P-4A5T-6SHU-7FHCV. The campaign will end on the 5th January 2015. Updates of the estimated value of the ‘First Nxt book’ portfolio will be published regularly on Nxtforum. 20 e-books: translation into any of the other 4 languages: Russian, French, Spanish and Chinese. If 20 assets of an e-book in one of the above languages are sold, we will begin translating it into that language. You can buy as many assets as you want to support your own language version of the book. If 50 assets of an e-book in a particular language are sold, we will launch the corresponding asset PbookXXX and the MScoins (x3, x10 and x50). You will then be able to buy the paper book in this language. Subject as provided below, the quality of the book will be ‘Print-on-Demand’. After the main goal of 200k NXT has been reached, for every additional 150k NXT, we will publish the book in a new language in the same quality as the English language version. To qualify for high quality publication, a minimum of 30 copies of the particular language version of the book must have been purchased. Where two or more language versions of the book qualify, the best seller will be the one chosen. We are all well-known and, we like to think, trusted in the Nxt community. What will we do if the goals are not reached? First, we’ll all be very disappointed! Second, I’ll rebuy every asset that can’t be exchanged with the promised product. The articles are already available to read, so why should you support us? But our ambition extends beyond this campaign. Nxter Magazine and Plaisir d’histoire want to build new projects on the Nxt platform. This campaign is the first of the projects we are planning based on the Nxt platform. An excellent, beautifully produced book about Nxt is a great tool for Nxt marketing. A PDF or a cheap Print-on-demand Book is a poor substitute for that. And, if we have books in other languages, we can of course reach more people. We want to print more books than are sold during the campaign. Having a good stock available in each language will enable us to market it, and therefore Nxt, more effectively. To that end we want to increase the book’s distribution via online and physicals books shops. As you can see, we will be using every feature of Nxt in our crowdfunding campaign. 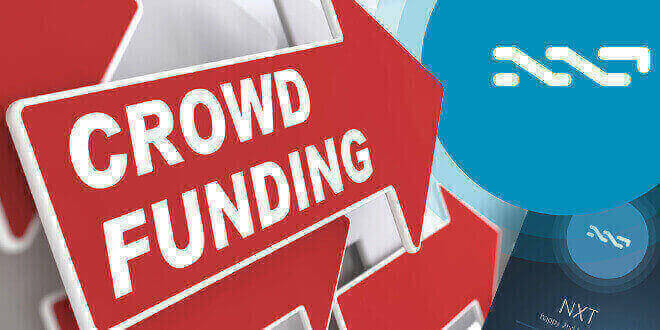 Nxt needs its crowdfunding platform to be used in as many different ways as possible in order for its flexibility and effectiveness to be fully demonstrated. The success of our campaign will provide a further demonstration of the power of Nxt. If the campaign is as big a success as you envisage, what will you do with the extra funding? We won’t make any profit until the book is published in each language: English, French, Chinese, Russian and Spanish. And we need 200k + 150k + 150k + 150k + 150k NXT = 800k NXT for that. If we funded more than that, it would mean that we would have sold more and the shipping cost would therefore be bigger too. Firstly, I would pay the extra cost with the extra funds. After that, the surplus (i.e. the profit) would be shared between the contributors (1/3), Nxter.org (1/3) and Plaisir d’histoire (1/3). This revenue would be used to reward the writers, editors and translators, and to prefund our future projects on the Nxt platform. Plaisir d’histoire will pay every FIAT bill of the project. If the costs don’t exceed what is planned, there is no reason to sell any of the fund. Plaisir d’histoire pays in FIAT and receive the equivalence NXT and/or assets, that’s it. NXTER.ORG is slowly (in crypto time) turning into the community project we hoped for. Nxters are contributing with their news and views, so the overall number of news items, blogposts and tech articles published has been going up, and with this also the number of site visitors, social media connections and email subscribers. So a big thank you to everybody who has contributed to the English and the French NXTER.ORG so far. In January we focused on getting some basic ‘long lasting’ content up, Nxt guides and in depth presentations of Nxt’s CORE features, not only because they have been implemented in the NRS Client, but also to show they should be and are being used by 3rd party developers to build innovative and user friendly services on top of our Nxt platform. With the essential guides and articles now in place, we can begin to spend more time on diving into the detail of those 3rd party projects. They are, after all, what will probably drive the wider adoption of Nxt in the future. So, if you have a project built, or in the process of being built, on Nxt, please get in contact so we can help you spread the word. In addition to the obvious reason for documenting Nxt’s core features, one of our goals for February-March is to translate them and add landing pages in more languages. Each ‘local’ NXTER.ORG site will host easy to follow guides, our main articles about Nxt plus the most important links. This is to give non-English speaking people an access point into Nxt and also make it easier for them to spread the word about Nxt locally. To friends, maybe developers, maybe universities, maybe the press. Each subsite can be turned into a full blown local blog space or magazine (like the English and the French sites), if/when local editors take on the task. For the moment we will not be actively working for the latter, as we are still working hard on building the main site. We consider the expansion of Nxt’s outreach very important, so we’ve decided to reward translators of this specific ‘landing page’ content, not with the usual 1/3 of what the original authors were paid, but with 1/2. If you are interested in translating and can do it well, you can read more here. Coinomat is now main sponsor of NXTER.ORG. The official SuperNET Client will link to http://test.nxter.org. You can listen to crypto radio on NXTER.ORG. Just hit ‘play’ in the sidebar and enjoy. It’s Nxt friendly crypto talk and good music, live and recorded, from http://www.supernetradio.com. We’ve gotten our dirty hands with a .999 grade silver SuperNET coin, and now you can have it. Do visit, feel at home, bookmark it, push ideas, ask questions, or just post a meme. We have a new French editor: Hachoir. Welcome on board! Lionel Jeannerat (Ludom), who has been a core contributor to NXTER.ORG since July, has recently taken over from KarlKarlsson as NXTER.ORG’s accountant and general business manager. Ludom is a trusted Nxt community veteran, known as the “French Nxter” (even though he is Swiss), the founder of the world’s Most Interesting Coin (MIC), an asset expert, article writer and (former) editor of the French NXTER.ORG site. We welcome anyone who wants to join us in our efforts. We don’t want to just sit around waiting for NXT to appreciate in price. Neither do we want to confine ourselves to merely being a donation funded promoter of the Nxt platform. We want to share Nxt with the world and at the same time make money which can be shared with everyone who is participating in building Nxt through NXTER.ORG. NXTER.ORG is an opportunity to showcase Nxt and its ever-growing range of services. We think people should directly benefit from contributing to this promotional experiment. 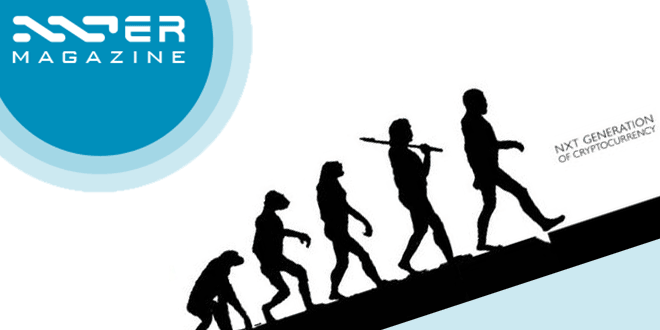 Accordingly, when you make a contribution to NXTER.ORG, profit-sharing NXTP assets are transferred to your account and every month we pay out 70% of NXTER.ORG’s Net profit as NXT dividends to our asset holding contributors. We welcome anyone who wants to join us and contribute their quality skills to our awareness building community project; bloggers, journalists, graphic designers, web designers, translators, SEO experts, Nxt 3rd party project devs (funded or unfunded), and Nxt businesses. We look forward to working with you, either as employers or in a profit-sharing business relationship. Make contact either by writing directly to apenzl or Ludom or by using NXTER.ORG. Our goal is to give non-English speakers a local Nxt site. It can’t just be a logo and a wallet download link, Nxt is not simple like that. We want to give new users a fair introduction to Nxt with a client guide, descriptions of Nxt use cases and features, links to the most necessary tools and services, our nxtforums, and of course the Nxt client and fiat/BTC > NXT gateways. It’s an ambitious project (this is the beginning), but NXTER.ORG contributors have already produced the content in English (most of it is also available in French), the website is set up and ready to be expanded with multilingual content, so “only” the translations and the implementation of these are left to be done now. Are you a confident English reader, well formulated in one of the main languages of this world, and are you interested in helping Nxt grow in your local area and beyond, your help will be very appreciated. If you have some prior knowledge of Nxt or crypto currencies in general, it shouldn’t be a very difficult task. Besides the great honor of being a Nxt translator 😉 and helping Nxt to gain new users, translators are also rewarded with NXTP assets. It’s usually 1/3 of what the original article author was paid, but for this content you will get 1/2 of the author’s reward. Every month 100% of NXTER.ORG’s net profit is paid as NXT dividends to NXTP assetholders. To learn more about our NXTP asset (ID 17290457900272383726), see http://test.nxter.org/get-published-get-paid-nxtp/. The local landing pages can easily be turned into local blog spaces or even magazines, with local content alongside translated articles, customized menus, sidebars and advertisement, Nxt services, it’s all supported. But first: Landing pages. To share, send friends to, mail to universities, devs, businesses, maybe the press. They will need it, so they can cover Nxt and SuperNET. Let’s expand Nxt’s outreach. Maybe we’ll make the value of NXT rise. And we’ll increase the value of NXTER.ORG and open new opportunities for it – and the NXTP assets you’ve earned. 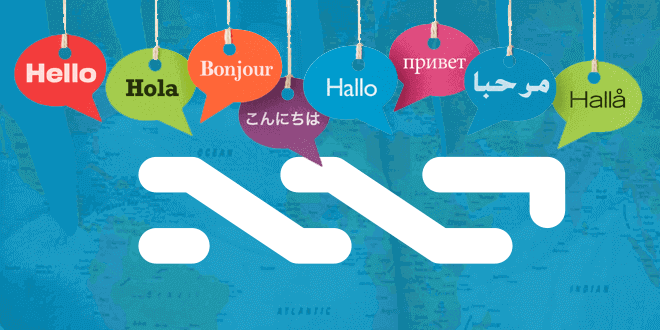 You can contact us by using our contact form or posting in the nxter.org nxtforum translations thread. Thanks.